With the growth of internet-based applications and the explosion of consumers, cloud-based web service applications have become more common and the importance of minimizing the cost, increasing the interactivity, and management and efficient use of resources has become high. Existing methods like fixed cost per month no longer satisfy the application maintenance costs of the modern app developers. In this article, the authors propose an enhanced model for improving efficiency; maximize availability and minimizing the cost of cloud-based web applications. 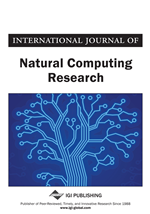 The authors have conducted experiments on grid dataset and analyzed the results using several algorithms on the load balancer with the multilevel optimized shortest remaining time scheduling method. The analysis clearly proves that applying a “pay as you” go mechanism will substantially reduce the cost and will improve the efficiency which resources are utilized. The results clearly suggest improvements in cost minimization and effective utilization of resources leading to effective utilization of services. The objective is to provide cloud-based web applications with a minimum cost to run the services or applications without compromising on the functionality, latency, throughput, reliability, scale and other aspects. This enforces the effective use of services by the applications as well as pushes optimizations on the data center in such a way that it effectively allocates the use of resources. There are various needs and Service Level Agreement (SLA) required for the services backing the web applications during different phases of the product lifecycle i.e. development, deployment, maintenance etc. The problem focuses on delivering a mechanism to minimize the project cost during the various phases. The motivation of the cost minimization for Cloud-based web services comes from the service providers capability to control the feature set of the services provided based on the desired SLA as opted by the end user. This will enable the end user to provide the service with the desired feature set and minimum cost. The tasks, cost, load, and availability are described in Equation 1-4.